North American Seminars a national provider of continuing education courses for physical therapists and occupational therapists introduces a new online continuing education course, Understanding Lymphedema. The Learning Center from the American Physical Therapy Association (APTA) recently announced its partnership with publisher F.A. Davis. Course offerings at the Learning Center now include 50 new classes designed by some of the most well known textbook authors in the field. According to APTA, this partnership with F.A. Davis will add greater breadth to the expanding Learning Center course catalog. Included in the new course offerings are: Managing Your PT Practice in Home-Care Organizations; Physical Therapy in Early Intervention and Schools: Needs of Children; and Professionalism and Ethics: Judgment, Moral Reasoning, Autonomy, and Information Control. An independent nursing, medicine, and health sciences publisher since 1879, F.A. Davis provides print, mobile, and Web resources for students and professionals. Visit learningcenter.apta.org to learn more and to browse all of the professional offerings. Motion Doctor, Conshohocken, Pa, a pain prevention application, announced that it recently climbed to the No. 2 ranked medical app on iTunes and has been selected as a "staff favorite." The app was also featured on iTunes’ “New and Noteworthy” and “What’s Hot” lists shortly after its release less than 1 year ago. The physical therapy iPad app contains more than 60 high quality videos that are designed to serve as an exercise reference. 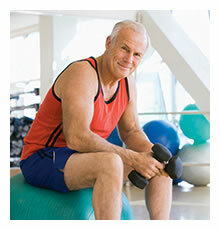 Exercises are categorized by body part, activity, sport, and occupation. The app is also designed as a tool to show patients how to properly perform exercises at home. Several children at Princess Elizabeth Centre on Ariapita Avenue in Port-of-Spain got a special treat yesterday when they were visited by award winning international Manipuri dancer, Priti Patel, and members of her Anjika dance school. With the help of the Trinidad and Tobago High Commissioner of India, Patel’s visit was not just to introduce the children to the Manipuri dance artform, but also to assist in their physical therapy. Patel is formally trained in expressive therapy from Leslie College in Boston, USA, and uses Manipuri dance as a form of Movement Therapy for children suffering from cerebral palsy. By using Manipuri dance techniques, the children at Princess Elizabeth were showed fun and expressive ways to stretch and exercise their limbs, while exposing them to a new culture. Patel is also scheduled to perform in Trinidad and Tobago during 150th Birth Anniversary Year of Rabindranath Tagore. Amsterdam, NL – Over the last 25 years, intensive efforts by physicians, physical therapists, and occupational therapists have developed integrative rehabilitation regimens that can alleviate balance disorders associated with neurological disease, trauma or weightlessness. A special issue of NeuroRehabilitation: An Interdisciplinary Journal provides an up-to-date review of the underlying scientific principles and latest clinical advances in the treatment of vestibular problems commonly encountered in neurorehabilitation. The journal is celebrating its 20th anniversary of publication this year. To demonstrate the new virtual reality therapy offered at Life Care Center of Hendersonville, speech therapist Nina Santus swayed her body in rhythm with an avatar on a giant television screen last week. Physical therapist Amanda Sorrill guided Santus through the exercise, which is used to build clients' strength, balance and concentration. "It's made specifically for therapy," Sorrill said of the virtual reality games, as Santus moved a pair of virtual scissors on the screen to cut flowers. VICTORIA, TEXAS — Like many teenage girls of the late 1960s and early 1970s, Garwood native Shirley Johnson got engaged to her high school sweetheart on graduation day. But her wedding plans were cut short when her fiancée turned out to be a nightmare rather than the man of her dreams. "The minute he gave me my engagement ring, I became his possession," said Johnson, who accused her ex-fiancée of being physically abusive. A member of the Balusek family, who were well-known on the Texas rodeo circuit, Johnson looked to her horses for solace. She found the strength then to end her abusive situation. "I felt powerful on this horse, so why should I submit to this man," said Johnson. "I thought if I could control my horse, I should be able to control (my fiancée). That was one of Johnson's earliest realizations that horses were good not just for riding, but also for therapy. More than 20 years later, she is still using horses to provide therapy to herself and others. Developers of the Wurn Technique® (patent pending) report new findings on their manual physical therapy protocol. The therapy is now being used to replace surgery for some patients with small bowel obstruction, a common life-threatening condition. The Wurns began testing their therapy as a treatment for small bowel obstruction (SBO) after a scientific study showed their therapy opened totally blocked fallopian tubes - a procedure previously thought impossible without surgery. According to Professional Therapy Associates (PTA), Kalispell, Mont, aches and pains thought of as unavoidable signs of aging are often symptoms of treatable conditions that can be detected through regular health screenings. In order to promote the benefits of these screenings, PTA is offering physical therapy consultations free of charge. SANTEE, Calif., Nov. 29, 2011 /PRNewswire/ -- Physiotherapy Associates, the nation's foremost provider of outpatient rehabilitation services, recently opened a new physical therapy clinic in Santee, CA. The clinic offers a comprehensive range of physical therapy services, including: sports medicine/injury rehabilitation, industrial rehabilitation, pre-op rehabilitation, manual therapy, vestibular rehabilitation, pediatric and geriatric programs, injury prevention and temporomandibular dysfunctions.